Six years after the Centers for Disease Control and Prevention declared prescription drug overdoses “An American Epidemic,” the state Legislature is set to enact the strongest measures in the country to cut into the opioid and heroin crisis. A bill expected to reach Gov. Chris Christie's deskpromises to cut down on the number of painkillers in medicine cabinets in New Jersey, make doctors talk to patients about the dangers of OxyContin, oxycodone and other opioids and get more addicts into treatment. The bill includes beefed-up insurance mandates to provide more addiction services for the roughly 30 percent of New Jerseyans whose health care plans are regulated by the state. The cost for such extra benefits is not yet known. The aim of the bill is clear: To prevent stories like Colin Riebel’s. Don Riebel can still hear his 21-year-old son’s hopeful words as he headed for a plane that would take him to a rehabilitation clinic in Florida to beat his heroin addiction. 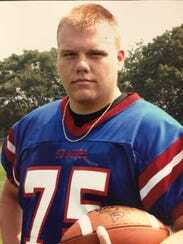 “Dad, I’m going to be OK,” Riebel recalled his 6-feet-1-inch, 250-pound son, the youngest of two, shouting. A die-hard supporter of Philadelphia sports teams who dreamed of being a sportscaster, a “teddy bear of a guy” fearful of lying because he was so bad at it when he was a child, a kid with a great work ethic who was built for football – he was the last kid you would think of as a heroin addict, his father said. Colin successfully completed that program in November 2013, only to return to New Jersey and overdose on heroin two days later. The young Bellmawr man died two weeks short of his 22nd birthday. Colin’s addiction started when he was 15, after he received prescriptions for Percocet following each of three surgeries for sports injuries, his father said. Painkillers and heroin have killed more than 5,000 people in New Jersey in the past decade. The bill cleared the Senate on Monday in a 33-0 vote. The snowstorm Thursday delayed the vote in the Assembly, but there is strong support there. Assemblyman Herb Conaway, D-Burlington, a practicing physician who effectively blocked some of the measures now consolidated in the bill as chairman of the Assembly Health and Senior Services Committee, has signed on as a primary sponsor. The Assembly is expected to vote on it Wednesday. Christie, expected to sign the legislation into law, called for its key measures in his State of the State address Jan. 10. Anti-drug advocates have been pushing for years to limit opioid prescriptions, viewing that as the surest way to stop the growth of the epidemic and to curtail the sharp increase in heroin overdose deaths. They also called for requiring doctors to provide information about the dangers of opioids to their patients when prescribing them. “New Jersey is taking a leadership role nationally with this legislation and other actions,” said Angelo Valente, executive director of Partnership for a Drug-Free New Jersey. The limit on initial opioid prescriptions for acute pain – from a broken arm to a wisdom tooth extraction – would be reduced from a 30-day supply to a five-day supply. For both acute and chronic pain it requires providers to document a complete medical history of the patient before prescribing, conduct a physical examination “as appropriate,” develop a treatment plan and enter into a treatment agreement with the patient when prescribing for a third time. Valente said that would make New Jersey’s prescribing restrictions the strictest in the nation. The CDC issued guidelines last spring that called for three-day supplies, seven at most, for primary care prescribers. The Medical Society of New Jersey offered a compromise that the Legislature rejected: a seven-day initial limit with surgery and trauma patients excluded. 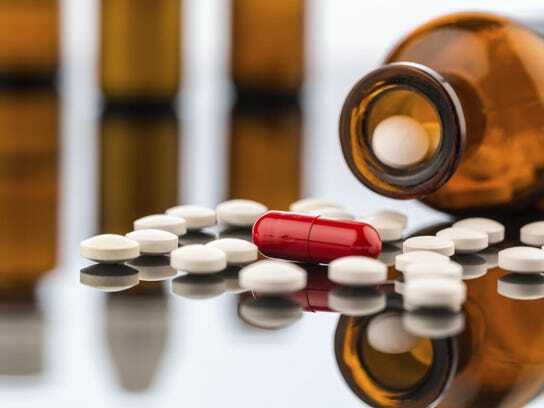 It also raised a practical point: narcotic prescriptions, with the exception of Tylenol with codeine, cannot be called in to a pharmacist, creating problems for some patients. 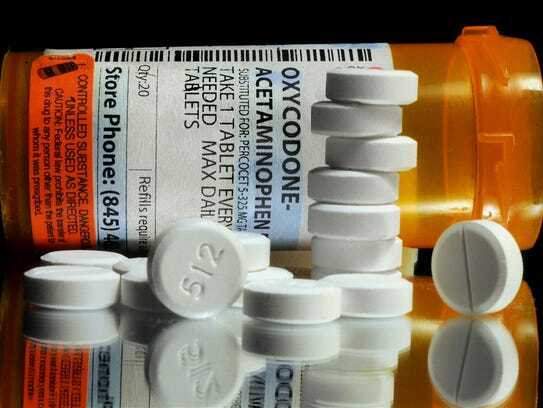 The portion of the bill that requires opioid prescribers to notify their patients of the risks of opioids and provide information on any alternatives to them is the only such law in the United States, Valente said. 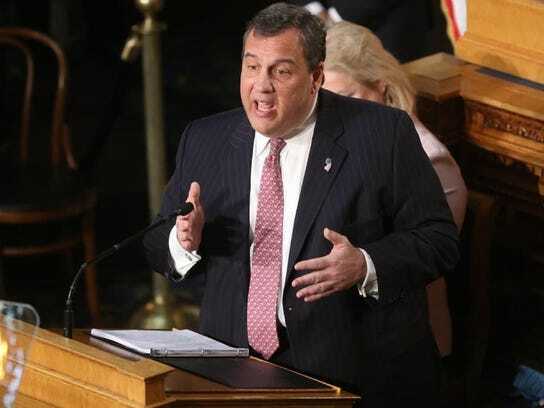 Last week, Christie signed into a law a measure requiring prescribers, both physicians and dentists and others, to speak to the parents of their patients under the age of 18 before prescribing an opioid. This pending bill extends that notification to all patients. It has not been universally applauded. Frank Greenagel, an addiction counseling consultant and former member of the NJ Task Force on Heroin and Other Opiates who has been a vocal critic of Christie’s on drug-addiction matters, said the bill has no teeth in terms of fines and penalties. The bill stipulates that the state Attorney General is responsible for investigating any violations of the provisions. Greenagel said that’s not enough. “I expect the insurance companies will continue to find loopholes until a very strong monitoring and enforcement and penalty mechanism is in place,” he said, adding compliance among doctors and others would be far higher if specific fines and penalties were outlined. Sen. Joseph Vitale, D-Middlesex, the lead Senate sponsor, said the Attorney General’s Office already has fines and penalties at its disposal. Still, Greenagel did offer praise. It mandates 180 days of inpatient and outpatient coverage by insurers regulated by the state without pre-authorization when determined to be medically necessary by the covered person’s physician. It also mandates Continuing Medical Education classes about responsible prescribing for prescribers, such as doctors and dentists. They must undergo one hour of training. The New Jersey Association of Health Plans, a nonprofit that represents health care plans like Cigna, Aetna and Horizon Blue Cross Blue Shield of New Jersey covering 7 million New Jerseyans, has not opposed the bill but asked the Legislature to consider a few points, like the need for “scrutiny and third-party review” of the facilities that would provide addiction services under the new mandates. “Not all providers and facilities are created equal: some are high performing and practice evidence-based care and others less so,” the group stated in written testimony to both the Senate and Assembly committees reviewing the identical bills. It also mentioned that the cost of premiums will “significantly increase” for the 1.7 million state residents whose plans — mostly individuals and those covered by small employers — are regulated by the state. For the 900,000 people in the state covered by the state health benefits plan, also regulated by the state, it means an increased cost for taxpayers. Ward Sanders, president of the association, said Friday an analysis of the increased costs has not yet been performed. A Legislative Fiscal Impact statement simply lists both costs and premium increases as indeterminate. Sanders expects actuaries to crunch numbers in the coming weeks. The mandates for more addiction services also set New Jersey apart. The bill will cover less than 30 percent of the insured people in the state, Sanders said. Vitale countered his assertion, saying the figure is about 40 percent. Cost is a concern, Vitale said . Battling addiction is a work in progress. The elements of the bill are merely pieces of a puzzle still being assembled, Vitale said. Colin’s troubles started when he was a freshman at Triton Regional High School pitching for its junior varsity baseball team in the spring of 2006, his father said. He tore a rotator cuff in his right shoulder and, after surgery, was given a 30-day supply of Percocet, a synthetic opioid pain reliever. Next came a torn left ACL in football practice in the summer of 2006. More Percocet. Then he suffered another torn left ACL that fall. Because of complications, he had to wait until the following spring to undergo a second surgery. He was on Percocet the whole time, his father said. Not long after that surgery, he came to his father and mother, Bobbie Lynn, and told them he thought he was addicted. “But it was too late,” Riebel said. Buying prescription opioids on the street became expensive. He turned to heroin. Soon Colin was a “functioning addict,” his father said. Riebel, 51, who works as a worker’s compensation claim examiner for a health care company, got Colin a job right after his graduation from Triton in 2009 and the two commuted to work together. They openly discussed Colin’s heroin addiction, strategizing on how to help him recover, he said. “I was just trying to be a father, trying to understand the mindset of an addict,” he said. Had the bill been in place in 2006, it likely would have prevented Colin’s death, Riebel said, but the overwhelming power of opioids condemned him to it. “He wanted it so badly, wanted so badly to get clean,” Riebel said.